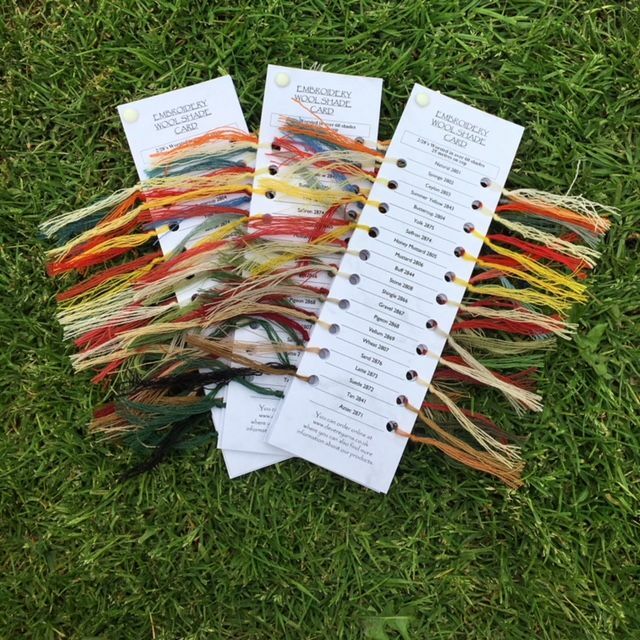 A fantastic resource for anyone who enjoys working with worsted wool in a wide variety of colours. 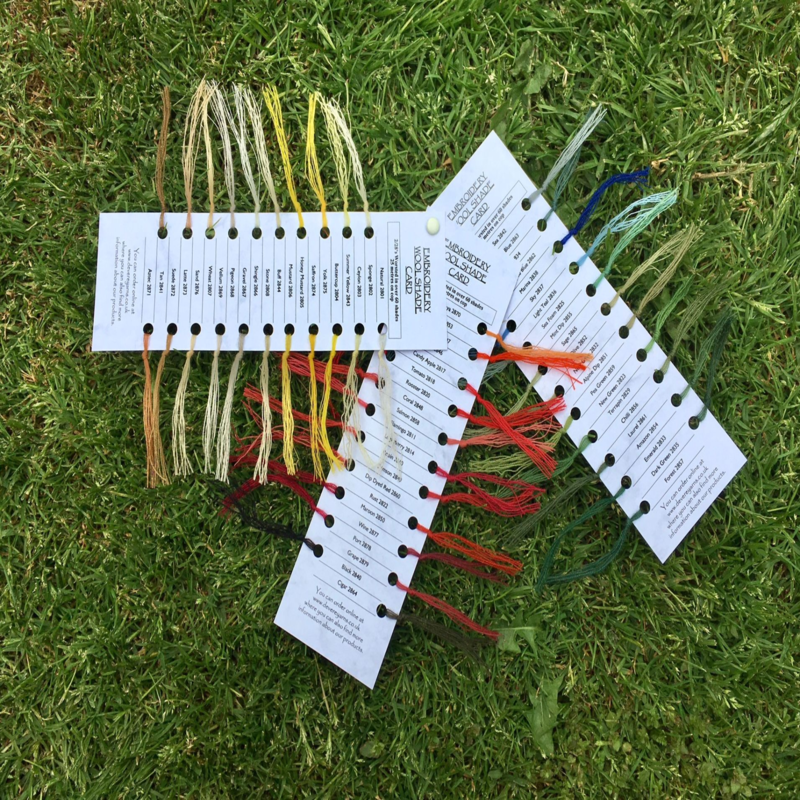 Our shade card is sold as a set of 3 hand punched cards.​​​​​​​ Each one is hand tied with tassels to show our 2/28s worsted wool embroidery colour range. The range now has over 60 different shades including 3 dip dyed colours which are all available here online. A fine 2 fold yarn, 2/28's Worsted Count Australian Merino Wool can be used singly or multiplied and is therefore perfect for crewel work, canvas work and a variety of creative textured techniques. Supplied in 25m lengths on cop for easy handling.